The heritage of Grace Church dates back to 1769. This was a time of Early Methodism in America. The present congregation of United Methodists in Aberdeen traces it roots back to the Bush Forest Chapel, which was located on Stepney Road about one mile south of Route 22. At this site, a log chapel was built in 1769 which became known as the Second Oldest Meeting House in America. Early Methodist preachers such as Francis Asbury and Freeborn Garrettson rode the circuit to preach in this early meeting place. The original log structure was replaced by a stone chapel in 1842 which was destroyed by fire in 1878. Another church was built near the stone chapel which was used until 1925 when it was abandoned. The deed to this historical property was registered in Baltimore County and was technically owned by the Baltimore-Washington Conference. However, after many decades of uncertain ownership, Grace Church was able to obtain a clear deed to the property and have it registered in Harford County in 2013. A historical marker and stone ruins remain on the site today. Later, Methodism moved into what was to become the town of Aberdeen with the forming of the Aberdeen Methodist Episcopal Church in 1856. The original building was located at the corner of Franklin Street and Route 40. This congregation grew to need a larger facility, and in 1893 a new Aberdeen M. E. Church was erected at the present site of Grace UMC. The land and building were provided for by five Baker Brothers - successful businessmen in the canned food industry. Several descendants of the Baker Brothers remain as active members of the present congregation. The advent of the Civil War, rooted in the issue of slavery, led to a division in the Methodist Episcopal Church. Although John Wesley and Francis Asbury both preached against slavery, there remained sympathizers for both sides of the issue in the Aberdeen area - Maryland being a "border" state. Thus in 1866 a group of Methodists left the original Aberdeen M. E. Church to form the Grace M. E. Church South. This building was located at the corner of West Bel Air Avenue and Law Street. The second building on this site remains vacant today but it has served several other congregations since the early 1940's. In 1939 the divided Methodist Conferences voted to merge back together. This merger was largely overseen and directed locally by Rev. Allan Gillis, the forefather of several members of Grace Church today. 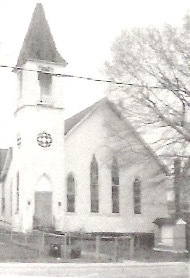 The merger service took place in May, 1942 when the church was renamed Grace Methodist Church. Following the merger of the congregations a master plan for new facilities had to be designed. From 1945 until 1965 the present buildings were constructed and consecrated. The present Sanctuary walls contains five cornerstones; Bush Forest Chapel; 1856 Aberdeen M. E. Church; Grace M. E. Church, South; 1893 Aberdeen M. E. Church; Grace United Methodist Church 1964. The present Sanctuary was consecrated on 30 January 1966 in a service with Bishop John Wesley Lord presiding. During the construction of the present Sanctuary, the old parsonage (pastor's residence) was razed and replaced by another house purchased by the congregation. Presently the pastor has purchased his own housing with an allowance provided by the congregation. As the congregation of Grace United Methodist Church moved into the 21st century, an expansion plan was again put into place.​ The initial step of the plan was to buy property south of the church at Parke and Custis Streets. Subsequently, the church purchased the adjoining property facing West Bel Air Avenue. 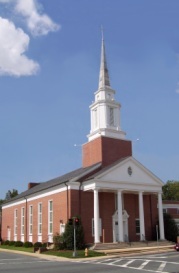 In 2011, the congregation voted to proceed with a plan to build a parking lot on the additional property adjacent to the church, and to build a new church kitchen joining the back of the Fellowship Hall. Additionally, renovations were made to the Fellowship Hall and restrooms. The ministries of the church have been greatly enhanced by the project. On January 31, 2016 the congregation celebrated the 50th Anniversary of the dedication of the Sanctuary and Education Wing. During the service there was also the dedication of a new Sanctuary lighting system which includes two new large chandeliers over the center aisle. On the anniversary occasion, the Sanctuary was rededicated to the glory of God. Grace United Methodist Church continues to play a vital role in the life of the Aberdeen community. The congregation makes a concerted effort to reach out and help meet needs in the local community as well as reaching out in Christian mission to the world.